My, oh my, what a Nintendo Direct that was! Starting with Super Mario Maker 2 and ending with Legend Of Zelda: Link’s Awakening for the Nintendo Switch. There were a couple announcements we were expecting, with the likes of Assassin’s Creed III Remastered and more footage of Yoshi’s Crafted World. Nintendo had a lot of games to announce that they have kept hidden under their sleeves. Well Nintendo have released a full press release with all the games that they announced during the direct. We have the full information below. 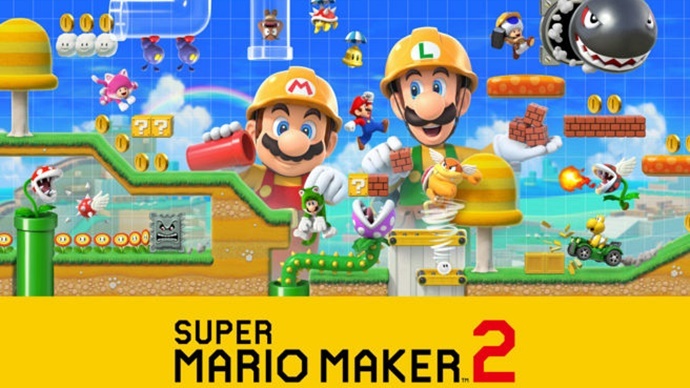 In a new Nintendo Direct video presentation, Nintendo announced that Super Mario Maker 2, a sequel to the groundbreaking original game, and a stylish re-imagining of The Legend of Zelda: Link’s Awakening are both launching this year for the Nintendo Switch system. The video also revealed ASTRAL CHAIN, a new action game from PlatinumGames exclusive to Nintendo Switch. Plus, starting today, Nintendo Switch owners will have access to surprise launches like the online 99-player puzzle-fest Tetris® 99and classic SQUARE ENIX role-playing game FINAL FANTASY IX, as well as new co-op DLC for Captain Toad™: Treasure Tracker and free demos for upcoming anticipated games. BOXBOY! + BOXGIRL!™: Welcome back, BOXBOY! The fan-favorite puzzle series is back for the first time on Nintendo Switch with a brand-new game! In addition to 270 new levels, two players can work as a team to solve puzzles in a new co-op mode. As a bonus, players who complete the game can access a new adventure starring Qudy. BOXBOY! + BOXGIRL!unboxes itself on Nintendo eShop on April 26. Super Smash Bros.™ Ultimate Update: The fastest-selling console-exclusive game in Nintendo history is about to springforward with a free Ver. 3.0 update coming to the game this spring. Before the end of April, Joker from Persona 5 will be available as a playable fighter. Announced in December, Joker is the first Fighters Pass DLC fighter to join the game’s expansive cast. Players who want to get access to five upcoming DLC fighters plus additional stages and music can purchase the Super Smash Bros. Ultimate Fighters Pass by visiting https://smashbros.nintendo.com/buy/dlc/. Additional details about the 3.0 update and upcoming Fighters Pass content will be revealed in the future. Also, be on the lookout for new amiibo in 2019 like Snake, Simon, Squirtle, Pokémon Trainer and Ivysaur. MARVEL ULTIMATE ALLIANCE 3: The Black Order: For the first time in 10 years, the MARVEL ULTIMATE ALLIANCEseries returns with four-player action and an original story … all exclusive to Nintendo Switch! Assemble your dream team from a huge cast of Super Heroes, including Marvel’s ultimate cosmic protector, Captain Marvel. Players can save the world together with up to four players** in TV mode, with four separate systems locally or online. A dynamic zoomed-in Heroic Camera will give players the option to get closer to the action. As characters level up, they’ll learn new skills they can use on the fly, and also perform powerful Alliance Extreme attacks. MARVEL ULTIMATE ALLIANCE 3: The Black Order launches for Nintendo Switch this summer. Chocobo’s Mystery Dungeon EVERY BUDDY! : KWEH! On March 20, the latest game in the Chocobo’s Mystery Dungeonseries arrives on Nintendo Switch. Assassin’s Creed III Remastered: For the first time on Nintendo Switch, experience Assassin’s Creed III with revamped gameplay and features tailored to the system like motion aiming and touch input. In addition to all the original game’s DLC, the standalone game Assassin’s Creed Liberation Remastered will also be included when Assassin’s Creed III Remasteredlaunches for Nintendo Switch on May 21. Looks like it’s about time to get a Switch.